Before I get to the book review, I want to be completely honest with our readers about my own personal biases. 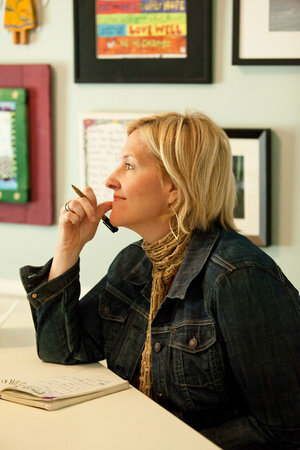 I am a big Dr. Brene Brown fan and have been for years. I tried to go to her live event in Nashville, TN and was heartbroken to learn that the tickets were sold out so far in advance. I contacted Random House to see if I could talk my way in to no avail, but they did send me a prerelease copy and asked if I wanted to review Rising Strong on our blog. I absolutely said yes. I am going to give an overview and review of the book, and then share my experience of reading the book. Also, just to be clear, this is not a sponsored post. The Reckoning: We need to identify and have an awareness of our emotions. Then we allow ourselves to be curious about our emotions and look for how they connect to our patterns of thought and behavior. The Rumble: This is getting very honest about the stories we tell about others and ourselves. We have a tendency to fill in the information gaps in our narratives, which is likely not accurate. It is very important that we believe that people really are doing the best they can with their lives. We need to challenge our initial reactions and look for a deeper level of understanding. The process of applying your new insights will revolutionize your world. Dr. Brown has a very connectable approach to her writing and weaves in a number of personal stories that make this process human. Her work is brilliant, unassuming, and yet still feels like it could be a great conversation with a best friend over coffee. This is not your typical academic research book filled with complex methodologies and two-way ANOVAs. Dr. Brene Brown has managed to take her complex grounded theory research and translate it into concepts that are useful for anyone with a soul. On the other hand, if you are a super academic social scientist type person, she does not fully explain her entire methodology and provide all the explicit details of that process. However, this would not be appropriate to her audience. I do appreciate the fact that she lists all of her references in the back of the book. You can further your reading and double-check many of the statements she makes if you have concerns. I value that level of research transparency and how she has put her work out there for criticism. She also includes highlights from her other works at the end of the book. I noted several significant takeaways in the process of reading this book. Actually, there are too many to mention, so I will give some highlights. It is very important to teach our children the truth of our stories and our family histories because it is their story. Nostalgia can be deadly. I enjoyed all of the personal stories. I cherished from my family systems background the insight into Dr. Brown’s family of origin. What moved me most was the account of her mother having a life altering counseling experience that was then translated into her parenting. It is a reminder that we can all change our family trees and break negative intergenerational patterns. On spirituality, I also had a few notes. Dr. Brown’s work suggests that no specific church denomination was more shaming than others. Over half of her participants who experienced spiritual shaming ended up finding healing through spirituality. They changed churches or beliefs, but their faith was still a significant part of who they are. Some items I need to reflect on personally after reading this are having the courage to communicate what works for me (what I need) and renewing my faith that people are doing their best at all times. As a lover of Narrative Therapy, I am all for reauthoring our own stories. On the one in a million chance that Dr. Brown actually sees this someday, thank you for the impact that you have had on me professionally and personally. As a fellow introverted qualitative researcher (the best kind of course), your example gives me hope that I do not have to be the life of the party to have an impact on this world. What you wrote about the negative view of qualitative research held by many academics struck a chord with me. I do not think that has completely changed from when you defended your dissertation, but I do feel it has gotten better. My dissertation was qualitative and fully embraced by my committee, with one member even stating he will only chair qualitative work. When we break massive amounts of information down into these tiny measurable things, I think we lose so much significant information. Thank you for blazing a trail by making qualitative research not only more accepted, but cool! Personally, I discovered your work during the process of writing my dissertation. I actually quoted you several times in my study of therapists’ martial experiences and included my own marriage. Talk about a rumble experience! Looking at my own marriage and myself was the darkest and most difficult process I have ever been through. If I had not read Daring Greatly, I would not have had the courage to be vulnerable and include my own marriage in the study. Now, I cannot imagine my marriage had we not done that “day two” work. 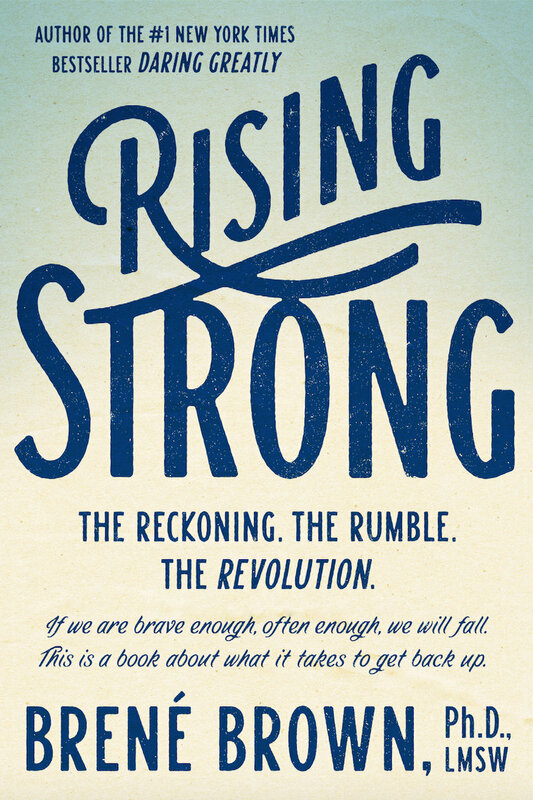 I cannot say enough good things, so please go buy RISING STRONG today! Comment below if you love Dr. Brene Brown’s work. How has it impacted your life? Brown, B. (2015). Rising Strong. NY: Penguin Random House. I’m glad I found your blog. My book arrives tomorrow. Grateful that we’re all on this journey together! Wow! Thank you so much for posting on our little blog!! We are very honored that you have read the review. 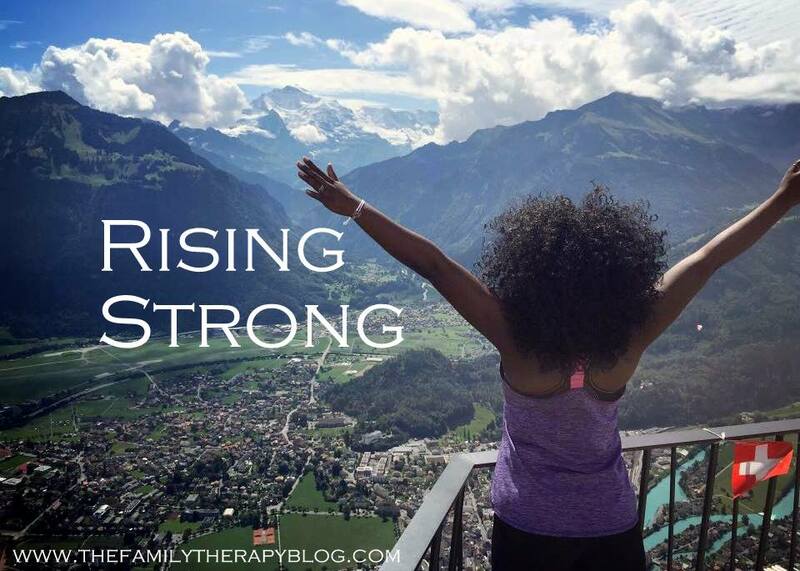 Now that I have read Rising Strong, I want to go back and read your entire collection again. What an inspiration! Yes! SO EXCITED TO SHARE THIS EXPERIENCE! !